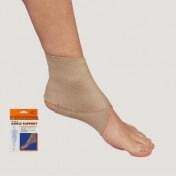 Sheer Elastic Ankle Support, manufactured by Champion, is designed for weak, tired or strained ankles. 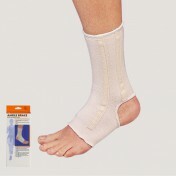 Providing uniform compression over the injured area, the Sheer Elastic Ankle Support helps the localized area to continue with normal activity without binding or cutting the joint. 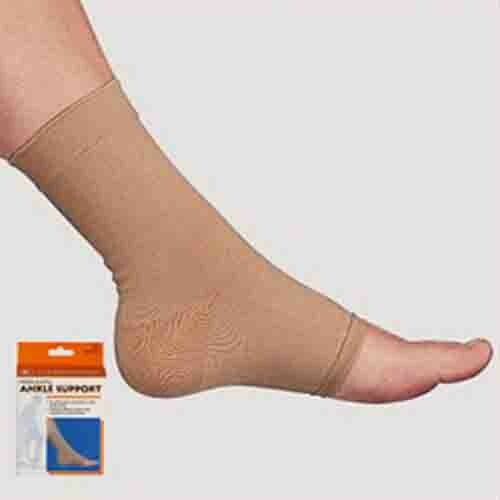 Featuring a sheer elastic fabric, this ankle support is incredibly lightweight. 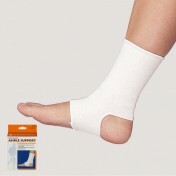 In addition to being light, the Sheer Elastic Ankle Support improves circulation and rehabilitation. This ankle support, additionally, easily fits into shoes without bunching. It is also a neutral color, so this support will most likely complement most articles of clothing. 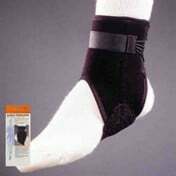 To view similar products, check out this ankle support and pull-on elastic ankle support. Absorbs perspiration for all-day comfort. Sheer and stretchy fabric provides firm support. Small: 6.75 - 7.75 inches. Medium: 7.75 - 8.75 inches. Large: 8.75 - 9.75 inches. X-Large: 9.75 - 10.75 inches. Application: To deliver unmatched ankle support.